Bolt plate manways are used for high pressure and vacuum service, in applications requiring hard gaskets (solid jacketed, spiral wound metal) or where severe external pressures exist. They can be designed for an unlimited range of internal and external pressures. The bolt plate sealing mechanics maintain constant sealing force, which makes these manways a good choice for vacuum applications. A standard bolt plate manway consists of an elliptical ring, a flat machined cover, a bolt plate, six stud bolts with hex nuts, and a gasket. 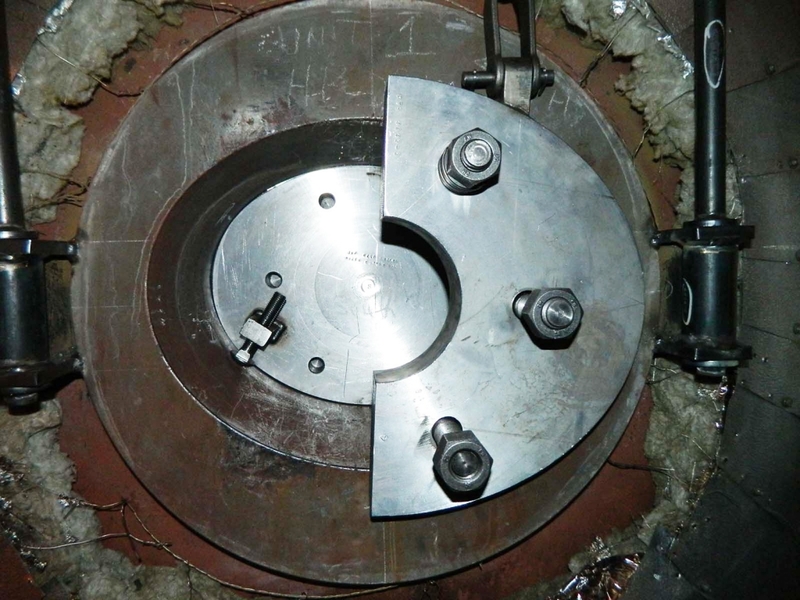 The sealing mechanism works through the mechanical force applied by the designed bolts between the cover and the bolt plate (see illustration). Bolt plate manways are custom designed for specific applications.